Okay, so here it is, January 13th… and no, I’m not chastising homeowners who still have their Christmas decorations up (…and lit every night!). I mean, the holidays are past, so why in the world are there still so many commercials on TV still discussing the holidays? 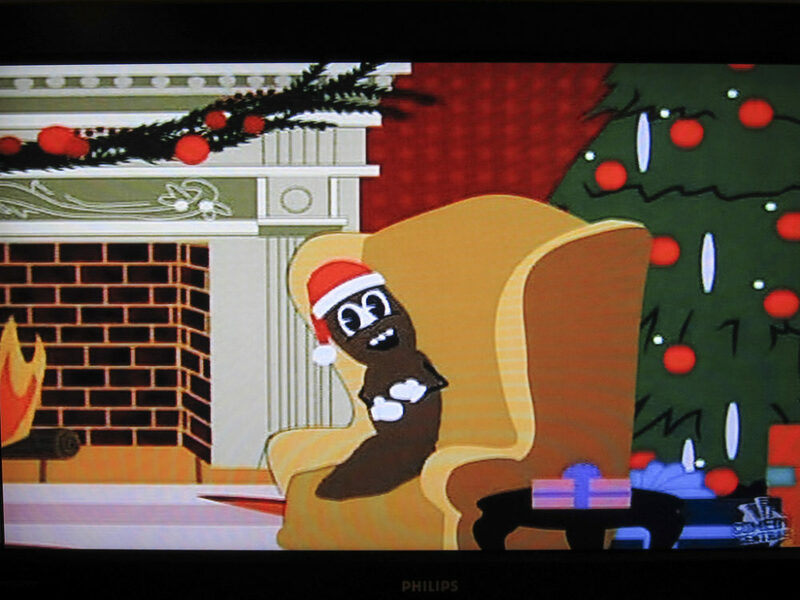 Every time I look up from my computer at the TV screen (on in the background), it seems I’m catching the tail-end of a Christmas-themed Pepto Bismol commercial. You know, the one where the chubby old guy is wearing a red & green body-tight shirt and he’s trying to dance… or sing… or dance and sing a new theme song about diarrhea. They also run another similar one that is loaded (excuse the pun) with nerdy guys wearing their ugly Christmas sweaters who are attempting some less-than-attractive dance moves. So what’s the point, Pepto? Why all the holiday-themed commercials so far into the New Year? And why so many times throughout the day? Oh wait, on second thought… maybe I get it. Maybe they’ve achieved their goal exactly as planned, because they got my attention… and yours too — since you’re reading this. Pepto-Bismol is certainly not alone in this endeavor. I’ve been typing away at the computer all day long today — and the TV has been on in the background the whole time. I must’ve seen at least 2 or 3 other national advertisers still running holiday-themed ads. Note to advertisers: It’s time to move on. Hey, I’ve got an idea! Valentine’s Day is just around the corner.